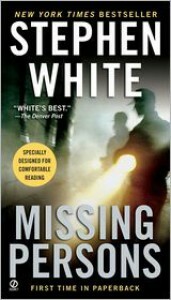 White wrote a good enough thriller, but in the end I was dis­ap­pointed. It’s a solid story, build­ing up and con­nect­ing dots, but when you reach the end, the dots you have been con­nect­ing together with Alan, don’t seem dots at all. The con­nec­tions you made and the out­come you expect, fall flat at the end and as the reader I am left with the ques­tion of why I took the trou­ble to make the journey.